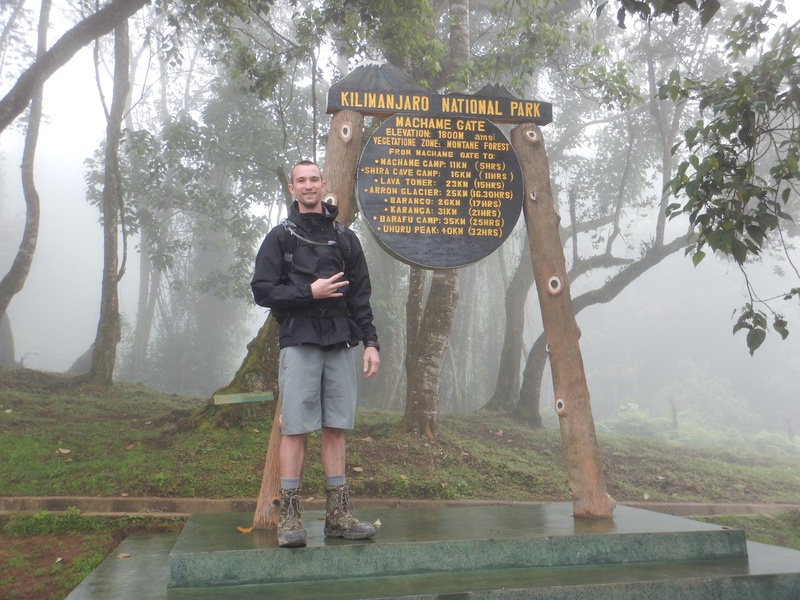 We booked our hike through Zara Tours and decided to use the Machame route up the mountain. Typically this is a six day route but considering the money spent on this trip and wanting to increase our chances of making it to the top we added an extra day. 8am rolled around and we had our bags all packed and ready to go. 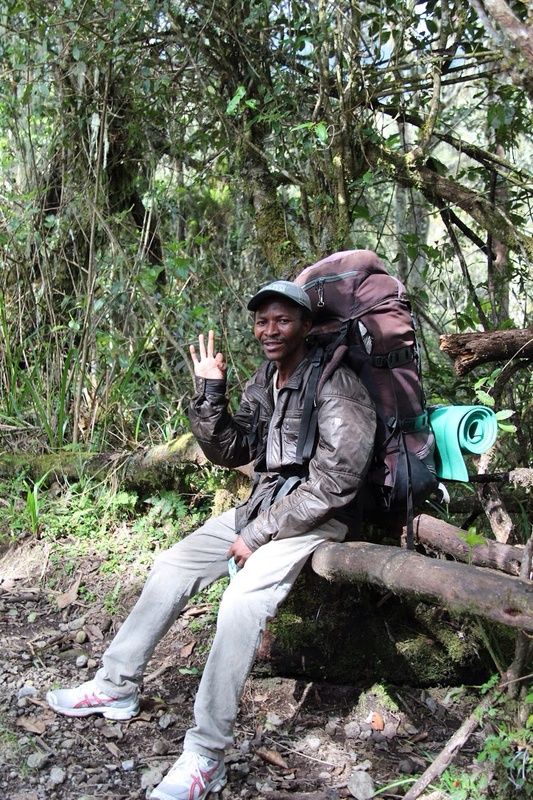 Our guide Salim was at the hotel to meet us and the three other hikers that would be joining in on this adventure. 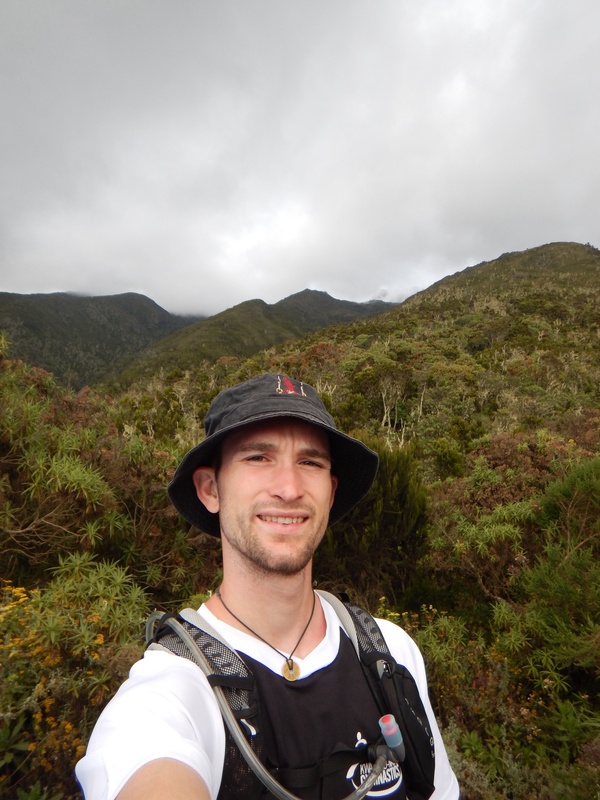 Our three other companions were Raoul from Canada, William from Australia, and Jose from Spain. This was the start of what was to be a great trip. All of us kicked it off great and got along well from the beginning. With the Land Cruiser all loaded up we hopped in and were on our way to the mountain. 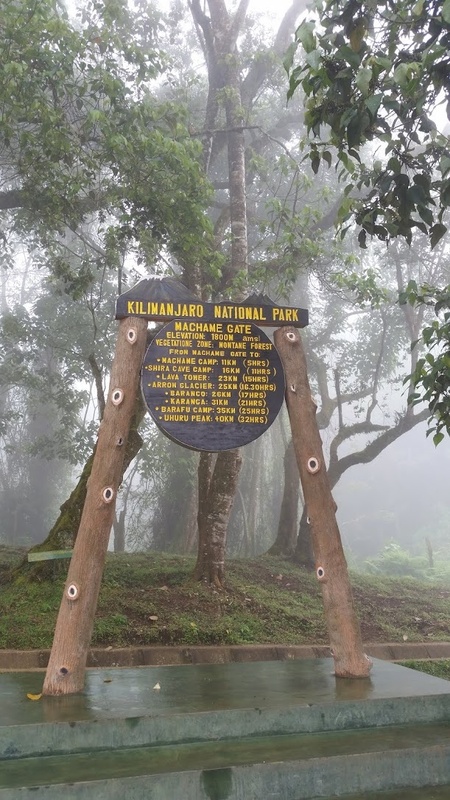 Now the Machame route starts on the western side of the mountain and circles around to the east where the approach to the summit is made. The total length of the hike is 37 miles. We had 21 people total plus our 5 hikers. 1 lead guide, 2 assistant guides, 1 cook, 1 toilet porter and 16 porters. 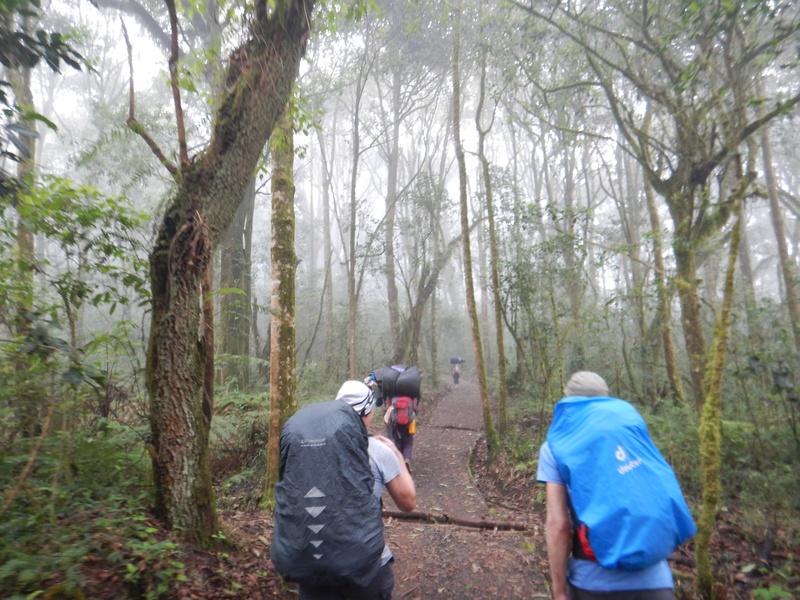 Each person had two porters they carried their belongings, so the only thing we needed to carry each day was our day pack filled with what we needed for the day. Usually rain gear and a fleece jacket plus our lunch. The day pack that I carried was a little small for for the treck (16 liters) but I made it work. I ended up using my mountain biking backpack since I didn’t want to buy another pack and knew I could use this pack later on in my trip. This was our starting point. We had to check in at each campsite and at the beginning. It asked for various things ranging for nationality, to route, to occupation (which I changed at each check in depending on what I wanted to be that day). 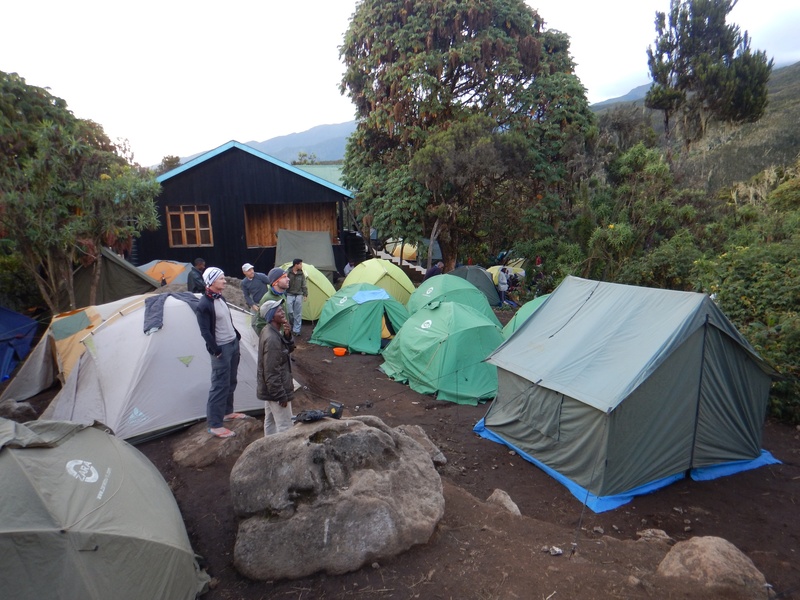 The first hike we started with lasted for 5 hours and we went from the Machame Gate 1800m (5900ft) to 3000m (9843ft) where camp was set up. 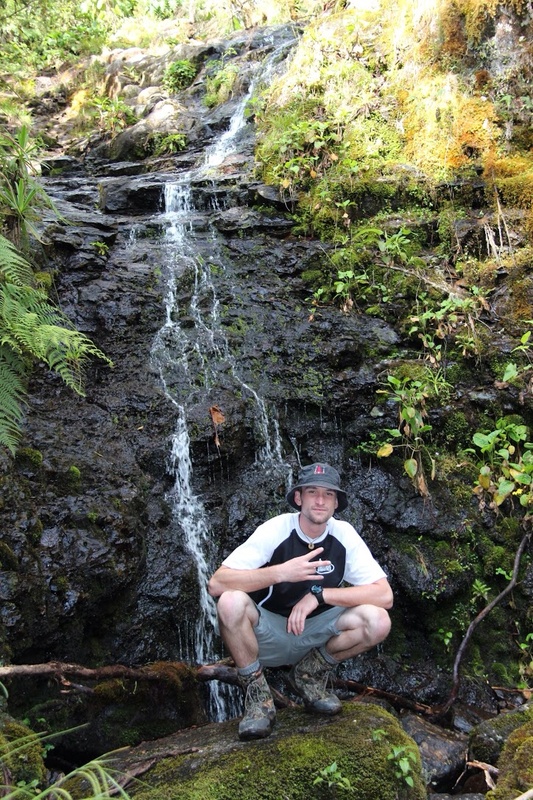 It was a great hike through the jungle. The whole path was cover by trees and it was a bit overcast and a slight sprinkle during the hike. 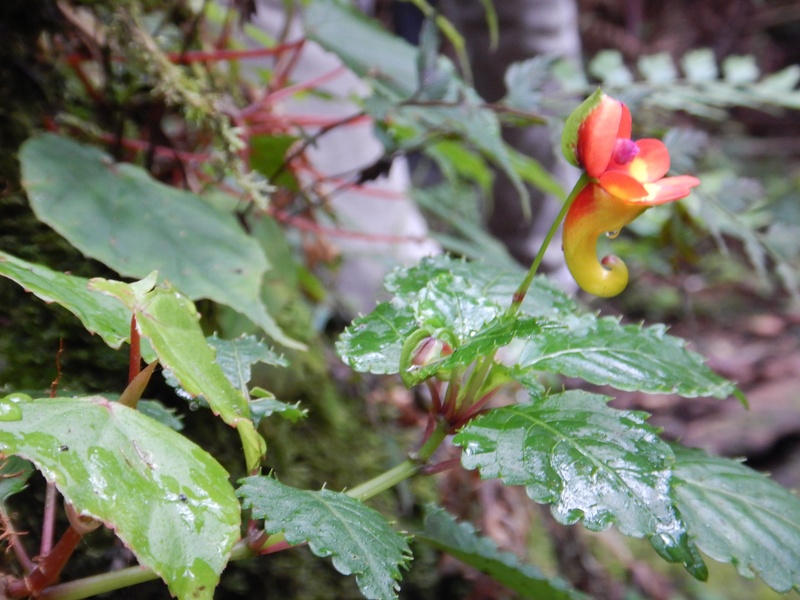 There was lots of vegetation and we were even able to see one of Tanzania’s rare flowers. We arrived at the campsite around 4:30 and since the porters had gone on ahead of us everything was already set up. For the first day it was a pretty easy hike and no one struggled at all. We were off to a great start! That flower is beautiful!!!! Thanks for sharing it with us!!!! Wish I was with you, glad to hear you are having fun. Keep the pics coming. Been having a blast hopefully we might be able to meet up somewhere!